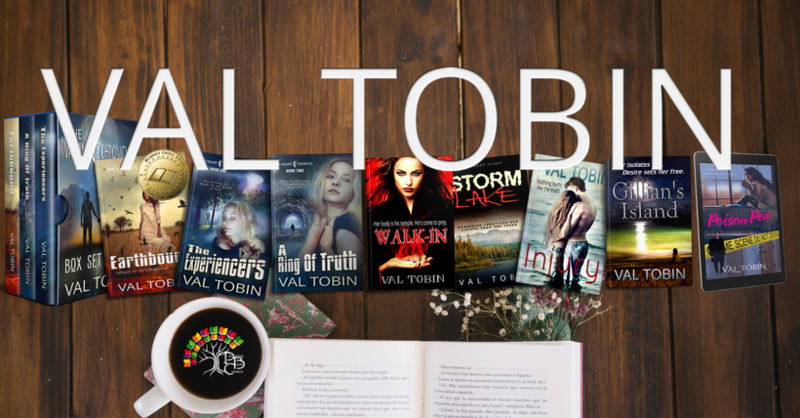 Scroll down to find interesting articles by Val Tobin on a variety of topics. Most appeared previsously on Suite101 before the lights went out. Psychic Communication — Receiving Messages from Spirit Guides and Angels: Anyone can receive messages from spirit guides and angels. All it takes is practice and an awareness of the way in which you receive such messages. Ten Tips for Connecting with Angels — Ten quick and easy ways to hear, see, feel, or know your angels. Interview with Vedic Astrologer and Palmist Alan Annand — What are the benefits of having your chart done with Vedic astrology? Can you change your fate? Vedic Astrologer Alan Annand provides the answers. Al-Quebeca by Alan Annand: Book Review — Alan Annand creates a terrifying and credible story of terrorism in Canada and a female detective who has the stones to take out the terrorists. 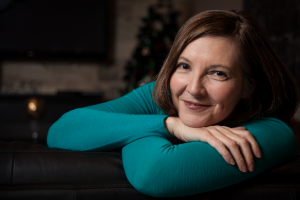 Embrace, Release, Heal by Leigh Fortson: Book Review — Leigh Fortson interviewed cancer survivors and experts in alternative and traditional cancer therapies to empower those forced to travel the cancer road. Harm’s Way by Alan Annand: Book Review — How do you find someone who doesn’t want to be found? Investigator Lee Harms takes on a challenging case that includes threats of physical harm or death as selling features. Hide in Plain Sight by Alan Annand: Book Review — Take one rich twin and one poor twin, throw in a bipolar wife, shake violently, and you have the makings of another delicious crime novel by Alan Annand. Publish Promote Repeat by Dr. Lucinda Moebius: Book Review — A decent reference for writers striving to improve sales of their books through their own marketing efforts. Scorpio Rising by Alan Annand: Book Review — Can murder be plotted in the stars? The perfect crime falls apart when Vedic Astrologer and Palmist Axel Crowe takes the case in this New Age Noir novel. Soma County by Alan Annand: Book Review — A woman’s sudden death by poisoning triggers a complicated investigation that connects to missing persons and organ theft. Specimen & Other Stories by Alan Annand: Book Review — A six-pack of short stories showcasing Annand’s distinctive style. Summer Day by Frank Parker: Book Review — A glorious summer day turns tragic when a young boy tries to save his dog from being euthanized. A gripping, poignant read. The Energy Cure — Unraveling the Mystery of Hands-On Healing by William Bengston: Book Review — The Energy Cure by William Bengston gives readers insight into the world of lab research and Bengston’s 35-year journey to verify that cancer can be cured. The Gods of Winter by Gerald G. Griffin: Book Review — A captivating story idea that sprang from personal tragedy, The Gods of Winter startles, amuses, and, at times, confounds. The Guru Question by Mariana Caplan, PhD: Book Review — Do you need a guru to aid you on your spiritual journey? What do you look for in a spiritual leader? Mariana Caplan gives valuable advice in her new book. The Blissology Project — Yoga, Meditation and Lifestyle: Yogi, surfer and blissologist Eoin Finn has created an inspiring 6 DVD set of daily yoga routines and meditations as part of his “Commit to Bliss” program. Colour Power: Do you hear what I see? Investigate the power of colour. The Healing Effects of Quartz Crystals: Quartz crystals amplify energy and are often used in a variety of healing modalities as well as in meditation. How can you use quartz crystals for healing? Using Oracle Cards to Give Psychic Readings: Oracle cards are easier to use than tarot cards, but there are skills you should have and things you should know in order to give more accurate readings. Introduction to Dowsing with Pendulums and Other Dowsing Tools: Mention dowsing and most people picture searching for water with a Y-rod. Dowsing detects more than water and uses a variety of tools, including the body. Recalling Dreams for Dream Interpretation: With practice, anyone can recall dreams. You need a dream journal, the right mindset, and some books on dream interpretation. Working with Dreams for Psychic Development: Dreams fascinate because they are believed to be a portal to the higher self, to the spirit world, and even to the future. Use dreams to your advantage. Chakras — Your Nexi of Power: You have the power within to balance and heal yourself by balancing your Chakras. What are Chakras? Find out by reading this introduction to the Chakra system. An Introduction to Psychic Protection: Psychic protection, also called psychic self-defence, is important for everyone. Take simple steps to shield yourself in any situation. Mindful Reiki: You don’t have to be awake to be aware–just go with the Reiki flow, and you will take your Reiki experience to a whole new level. Do You Need to Know the Reiki Symbols to Practice Reiki? Reiki symbols are taught at Reiki Level II. Can a Level I practitioner perform Reiki on others for pay? Will the session be effective? Use Reiki to Enhance Psychic Abilities: Many are aware you can use Reiki to help you in a variety of ways, from handling stress to being more creative. But did you know it can also help you to boost your psychic abilities? Singing Bowls and Healing Sounds: Singing bowls are often used in meditation and sometimes in healing. How can sound vibration be used in healing, and what role would singing bowls play? Introduction to Elementals: Earth, Air, Fire and Water Spirits: When beginning to work with nature spirits, you inevitably discover the elementals: gnomes (earth), sylphs (air), salamanders (fire), and undines (water). Creating a Fairy Garden to Attract the Fairies: Fairies are said to love flower gardens. Learn how to create a garden that attracts fairies and to recognize when they are present. The Nature of Fairies and How They Help Humans: Are fairies evil or happy to help? If you step into a fairy ring, will you disappear? Learn about the nature of fairies and how to receive help from them. Using Essential Oils for Aromatherapy: Using essential oils in aromatherapy can be soothing and healing. But what exactly can you do with essential oils and how do you use them safely? Symptoms of Vitamin B12 Deficiency: Vitamin B12 deficiency can cause a host of symptoms, including tinnitus. Learn the signs of B12 deficiency and the foods to eat to prevent it. Vitamin C Health Benefits and Daily Intake: Vitamin C health benefits extend to more than preventing scurvy. Vitamin C also helps with joint pain and lack of energy. How much should you take daily? Vitamin D Benefits, Deficiency, and Recommended Daily Intake: How do vitamin D and calcium help build strong bones? What are the signs of vitamin D deficiency and how much vitamin D do you need to take? Sun Protection by Safely Sourcing Natural Vitamin D: Is getting vitamin D from the sun safe or potentially deadly? Is there a way to get risk-free benefits of sunshine? Chiropractic Health Care with Chiropractic BioPhyisics (CBP): Art and science combine in the chiropractic technique called Chiropractic BioPhyisics (CBP). It can provide lasting relief from pain to effect optimal health. Indoor Play Parks Provide Fun for Kids and a Break for Parents: Kids today have no reason to complain of boredom with the indoor play parks available. This is not your mamma’s drop-in centre. What is Meditation? What happens when you meditate? What defines a meditation? If you fall asleep during meditation, does it still count? Find out how meditation works. Techniques to Help Deepen Meditation: The deeper you go into a meditation, the more rewarding it can be. The following techniques for meditation will help you have a quality meditation. Meditation as a Tool for Stress Reduction and Relaxation: Many use meditation as a tool for relaxation and stress reduction. If this is your goal, then here are some tips that will help. The Wheel of the Year — Yule Pagan Celebration: Yule marks the rebirth of the sun. It is celebrated on the longest night of the year. Build some Yule traditions that include honouring nature. The Wheel of the Year — Pagan Imbolc Celebration: For pagans, February 2nd celebrates Imbolc, a time for rejoicing in the softening of winter, the awakening of the Goddess and the strengthening of the God. The Wheel of the Year — Pagan Ostara Celebration: Ostara is a time of awakening. Celebrated at the spring, or vernal, equinox, it signals the beginning of the rule of the sun. Light takes over from dark. The Wheel of the Year — Beltane Pagan Celebration: Beltane is an important Sabbat and a time when the veil between the worlds is thinned, as happens at Samhain. It is a time of joy and dancing the maypole. The Wheel of the Year — Pagan Litha Celebration: Litha sits opposite to Yule on the Pagan Wheel of the Year. A solar festival, it celebrates the light and strength of the sun at the summer solstice. The Wheel of the Year — Pagan Lammas Celebration: A major Sabbat, Lammas celebrates the god Lugh and the sacrifice of the Corn King. The harvest gathering has begun and summer has hit its stride. The Wheel of the Year — Pagan Mabon Celebration: The last of the crops are coming in. It is the autumnal equinox and the days shorten. But Mabon retains a celebratory edge, even as we begin to draw inward. The Wheel of the Year — Pagan Samhain Celebration: Pagans celebrate Samhain, one of the most popular Sabbats, at Halloween. Night falls earlier at this time and winter looms. A time of introspection begins. A Year and a Day — The Pagan Handfasting Ceremony: In days past, couples who wished to marry but who had no access to a priest, declared their union during a handfasting ceremony. The tradition continues today. Introduction to Palmistry: Feel uneasy about someone, but can’t put your finger on what is the problem? Let palmistry give you a hand in figuring out whom you can and can’t trust. Paranormal Events Examined: Are paranormal events for real? Read about the evidence. Haunted Restaurant in Fort Erie, Ontario — The Old Bank Bistro: The Old Bank Bistro in Fort Erie has tasty food, great atmosphere, and a ghost who likes to watch the patrons eat. The Cawthra Estate in Mississauga, Ontario: The Cawthra-Elliot Estate in Mississauga, Ontario was built in 1926 for Grace Cawthra-Elliot and her husband, Colonel Harry Cawthra-Elliot. Grace Cawthra may still reside there after death. Inn at the Falls in Bracebridge, Ontario Hauntingly Delightful: The Inn at the Falls tucks weary travellers in for the night in Victorian charm and beauty. But while travellers can check out any time they like, there are spirits there who never leave. Interview with Peter Wolf on Clinical and Stage Hypnosis: Can anyone be hypnotized? What is the difference between stage hypnosis and clinical hypnosis? Hypnotist Peter Wolf explains. Interview with Peter Wolf on Hypnosis for Personal Development: Peter Wolf talks about how hypnosis can help people overcome self-confidence and other issues by allowing themselves to be hypnotized. Interview with Peter Wolf on Stage and Forensic Hypnosis: Peter Wolf talks about what people experience when they volunteer to be hypnotized for a stage show and the validity of forensic hypnosis. Remembering Past Lives with Past Life Regression Therapy: Learn how regression therapy helps people heal in the present by accessing the past, including past lives. This hypnosis tool may help when others fail. Interview with Pet Psychic Sheila Trecartin: What are animals thinking? Are pets really happy? Animal psychic Sheila Trecartin talks to animals and helps people find out. Interview with Sheila Trecartin on Becoming a Pet Psychic: How does an animal communicator regain her abilities once she has shut them down? Sheila Trecartin explains how in this exclusive interview. Finding the Best Psychic Guidance for Solving Personal Dilemmas: What would feel like play rather than work and provide a comfortable living? These sources of psychic guidance can help you figure it out. Online Psychics — Interview with 12Listen Psychic Advisor Tatiana: Can you be a professional psychic? Tatiana, 12Listen psychic adviser, talked to Val Tobin about what it takes to become a psychic adviser on 12Listen, and about their services. Developing Clairvoyance or Psychic Sight: What is clairvoyance? How do you recognize clairvoyant images? What can you do to develop your clairvoyant abilities when you think you don’t have any? Simple Exercises for Psychic Development Using Playing Cards: Build and strengthen your psychic muscles with these simple exercises. Home Haunts are Major Attractions at Halloween: If you haven’t experienced the thrills and chills of a haunted house lately, try visiting a home haunt this Halloween. If you dare. The Holiday Inn — A Hotel to Call Home in Santa Ana, CA: The Holiday Inn in Santa Ana accomplishes the difficult feat of making guests feel so welcome that they comment that coming here feels like coming home. Vacationing on the Big Island of Hawaii: From shopping at Hilo Hattie to exploring Volcanoes National Park, you won’t run out of things to do on the Big Island of Hawaii. Aloha. Adventure awaits. Kona Coffee Plantation Tours on The Big Island of Hawaii: If you love coffee, you have to take a tour of at least one coffee plantation while you’re on Hawai’i. Kona is famous for its high quality, premium coffee. Volcanoes National Park on the Big Island of Hawaii: How often do you get to see an active volcano up close? If you are in Hawai’i, don’t skip the trip to Volcanoes National Park. The goddess Pele awaits. Mauna Kea Observatory on the Big Island of Hawaii: Interested in astronomy? Want a unique perspective for watching the sunset? Want to reach dizzying heights? Then visit Mauna Kea on Hawaii’s Big Island. Swimming with Dolphins in Hawaii: Swimming with the Dolphins in Hawaii can be the most magical experience. It can also be the most disappointing if you don’t have realistic expectations. A Fishing Boat Charter or Lake Cruise on Lake Ontario: What do you need to know before you charter a boat on Lake Ontario? What do you bring on board? What if you don’t want to fish? Would $48K in prizes change your mind? Santa’s Village in Bracebridge, Ontario Brings Christmas to Summer: What better time to celebrate Christmas with Santa than during the summer when he doesn’t have the added stress of preparing for the big day? A Howling Good Time at Great Wolf Lodge in Niagara Falls, ON: It’s wet and wild, fun and funky. Kids and adults love it. Where else but at Great Wolf Lodge Niagara can you get talking trees, pampering, and play?